WebUnion - China outsourcing service for web development, flash creation and software programming. Outsourcing to China for website development, flash design, programming. Is your company seeking opportunities offered by the Internet and the global trend of outsourcing? To reduce cost and increase the bottom line? We understand your project is unique, and we’ll work with you to produce something great. Website developers benefit from the instant solutions provided by our high-quality website templates and website softtware. Business owners contract with us to create websites that create a strong brand, including customization upon demand. Our Turnkey Web Design Company package enables entrepreneurs to start a web design company within days. WebUnion can be your high quality, competitively-priced offshore development team. Established since 1996, our international team of professionals is located in Hong Kong, the Asia’s financial center and gateway to China. Our unique positioning enables us to provide faster turnaround, cost saving, and high quality services. 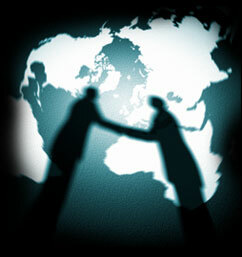 The global competition have drive all companies to seek outsourcing partners in order to remain competitive. We have provided companies and web entrepreneurs around the world with an immediate, turnkey solution for their online business, website design and programming needs. From high end websites, flash application development to the simplest banner design needs, we can help you realize your vision at very competitive prices. We empower you with our professional web design skills and programming expertise, so you can focus on your business and core competencies. We understand your business is unique, and we’ll work with you to produce something great. We have worked with clients from many different backgrounds, including Internet startups, small independent company, and large blue chip multinational... You can rest assured that regardless of size and scope, your project will be delivered on time, on budget, and with a quality that exceeds your expectations. Please visit our showcases area to see some recent projects we have developed. Tools for Online Map Creation - Make your own Google Map & Embed to your Website. © Copyright 2013 WebUnion Media Ltd.